It's not just the oil companies who, after realizing the potential hazard of catastrophic climate change, decided to just stay the course. The Utility Industry knew too. A study issued Tuesday by an energy watchdog group offers important new insights into the fossil fuel industry's extensive early understanding of climate change and the risks it poses. This time, it's the electric utility sector that's under the microscope. The detailed study, backed up by reams of archival documents, was issued by the Energy and Policy Institute, an environmental advocacy and research group that favors the use of clean energy over fossil fuels. Forty years ago, the documents show, industry officials told Congress that the looming problem of climate change might require the world to back away from coal-fired power—something that is only now beginning to happen. The research presents a distinct echo of an investigation of Exxon's climate record published by InsideClimate News almost two years ago, and casts significant new light on the duration and depth of industry's climate research—and how electric companies that use fossil fuels responded to the emerging science from the 1960's onward. The 66-page report unearths research documents and testimony published but then largely forgotten decades before the climate crisis emerged as a key public issue. And in this episode of the nation's climate history, once again, the same industry that foresaw the ultimate end of coal as a main fuel for power generation later supported actions to cast doubt on the science and to stave off policies to address the problem, funding groups that deny the scientific consensus and joining the main industry group that opposed participation in the first climate treaty. 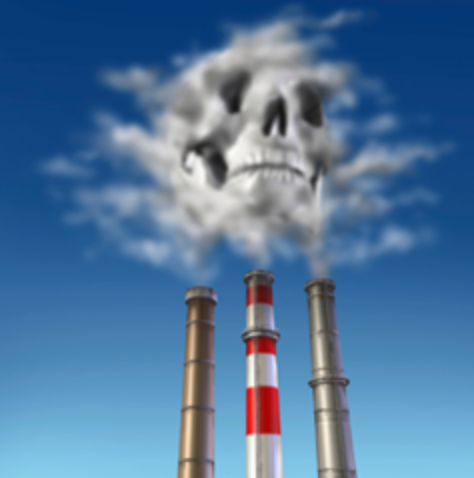 To this day, there are few federal limits on emissions of carbon dioxide by utilities, one of the biggest sources of greenhouse gases. The new report resurfaces many detailed documents, some of them previously mentioned by InsideClimate in its Exxon reporting, others not widely circulated in recent years. By 1977, the Electric Power Research Institute, funded by the industry, was testifying in Congress that the global warming consequences of greenhouse gases could force a shift away from fossil fuels, especially coal, a message that the group repeated in its house publication that year. By 1988, the EPRI Journal would run an editorial declaring outright: "There is a growing consensus in the scientific community that the greenhouse effect is real." It described potentially grave impacts, but added that "shifting away from fossil fuel use is a prospect that seems impractical." That was 30 years ago. About seven years after Dan Rather and the Reagan EPA warned us. And in all fairness, 30 years ago, renewable energy technologies were not mature enough to deploy at giga-watt levels. But now, wind has been economic for 20 years, utility solar is less than coal or natural gas, and large scale storage, thanks to the booming electric transportation industry and the advanced batteries they bring, will be economic by the time we need them. Which is pretty much now. In the meantime, the equivalent of a Battle of the Bulge is on our hands. The Secretary of State is a not-so stealth Exxonian, and the POTUS of the USSA is a pro-carbon Russian asset. and his hoard of self haters.